You may encounter a plethora of software, hardware and infrastructure to choose from when you’re implementing technology to support the operations of your practice. Sometimes there isn’t much plain language guidance to help you select, acquire and integrate tools and technologies either – a situation that can prevent rapid take-up of these new capabilities designed to enhance practice and client experience. 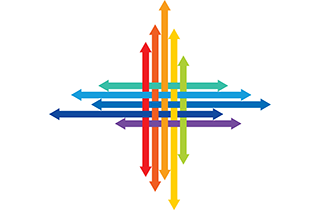 Enter The Connected Practice (TCP), whose goal is to deliver a technology architecture coupled with ASI Kairos ANZ tools and templates. It aims to provide functionality for members in one place, potentially saving them time and energy in making technology decisions. Access a range of services in the cloud, and use templates, tools and solutions developed in collaboration with our partners. The management of companies, trusts and members thereof. The Management of retirement funds. The core line of business application enabling a firm to manage their clients accounting data. The ability to manage practice clients, leads, jobs and billing. Data Model - Connected Practice delivers a consistent data model across individual members’ chosen practice management tools, lighting up the opportunities for data analytics, machine learning and PowerBI. Legacy Hosting – Using tools and processes in the connected practice, legacy practice management tools can be provided to members in the cloud through Windows Azure, allowing practices to remove their servers if they wish. The ability to create, store and retrieve documents. SharePoint Online – SharePoint online document libraries (an analogy to a traditional accounting practice file room) can be extended to maximize information value in the practice management suite including clients, contacts, jobs and more. Template Manager – enhances SharePoint Document Libraries by offering a range of auto-populating templates (from Practice in a Box), allowing Members to create standard accounting practice documents, file them securely and send them directly to clients. Template manager can be customised to further enhance the benefits of Practice in a Box. Scanned Document Management – refines the filing experience by taking scanned OCR (searchable PDF) documents, analysing their precise client data and automatically naming and filing the document. SharePoint Online notifies the relevant partner and manager when a new document is generated. Scanned Document Manager operates on Windows PCs, Servers or via the cloud. Migrator – anticipates potential problems presented by migrating documents from existing document management platforms to the cloud. The Connected Practice Migrator streamlines the process of migrating files and folders to the new document management platform. As part of Office 365 E5 , Skype for Business offers real time communication between the member, their staff, ASI Kairos ANZ and customers. presence which shows when people are signed in, busy, away or on a call. Cloud PABX services will become available in the near future replacing traditional voice services. Includes the management of end user computing devices including Macs, PCs, Phones and more. Single Identity - Azure Active Directory provides secure access with single sign-on to practice applications, CA ANZ data tools and thousands of third party applications including Xero and Dropbox. Central Management - Centralised management of iOS, Android and Windows ensuring consistent and secure policy, configuration and the ability to remotely manage devices. Security - Enterprise grade rights management for protection of data ingress and egress and advanced cloud-aligned threat analytics to ensure security across the platform. Includes a responsive, highly available website integrated with practice systems to ensure effective data flow in the practice. Provisioning of a cloud-based, member-ready website including lead generation, SEO and a secure client portal making use of SharePoint Online. Includes at the least email, shared calendar, shared contacts and shared tasks. Includes Internet, Voice and Fax services and enables a basic level of communication between your practice and the outside world. Guidance is available to optimise the network requirements for your business. The savings calculator allows you to estimate the type of internet connection required to provide users a quality experience. The ASI Kairos Connected Practice is based on Microsoft Office 365. Depending on the device you are using, you may have a different experience. We recommend checking compatibility/support available on the different systems. The Connected Practice Architecture is a formal reference architecture. A reference architecture is a document or set of documents to which a project manager or other interested party can refer for best practices. In information technology, a reference architecture can be used to select the best delivery method for particular technologies within an IT service catalog. This reference architecture is used to show the sum total of overall solutions a practice needs to have in place to deliver a full end to end IT environment. It does not recommend specific products or vendors, nor does it detail what a specific solution delivers.